A typical access control system provides entry control with egress (exit) being uncontrolled. 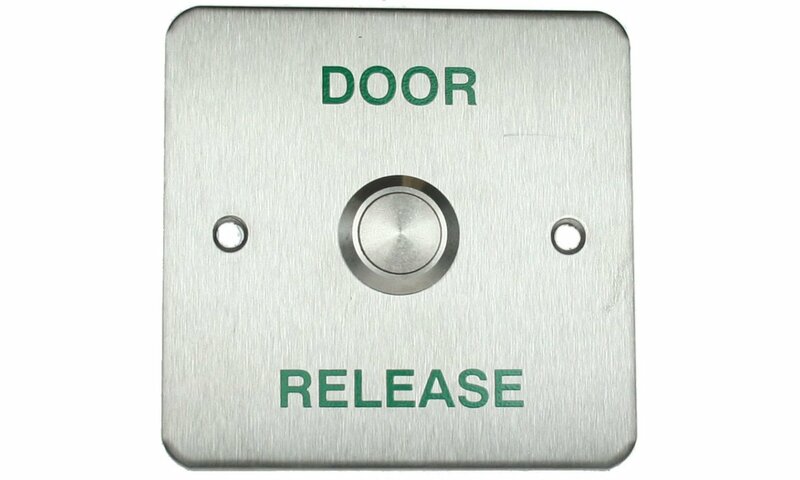 Sometimes egress control is also required and this can be often achieved using a second card reader and/or keypad at the secure side of the door. Where exit is not controlled, a device called a request-to-exit device (RTE) is used which is wired to the corresponding input of a door controller. 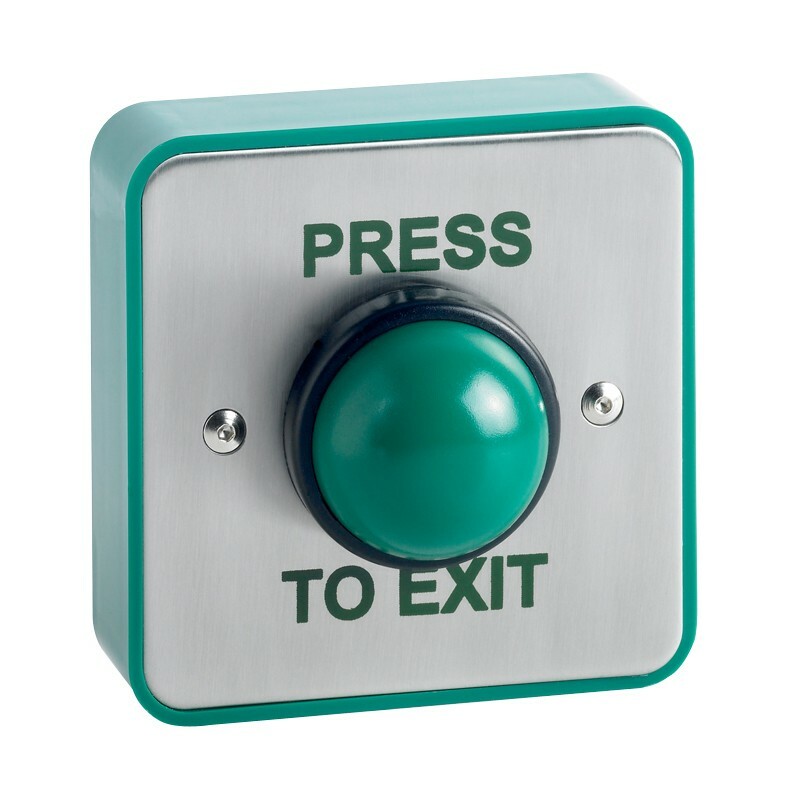 Request-to-exit devices are available in many form factors from a simple push-button to a sophisticated motion detector. When the button is pushed or the motion detector detects motion at the door, the door controller releases the electric lock and disables any door alarm sensors e.g. door forced-open, for a predefined period. 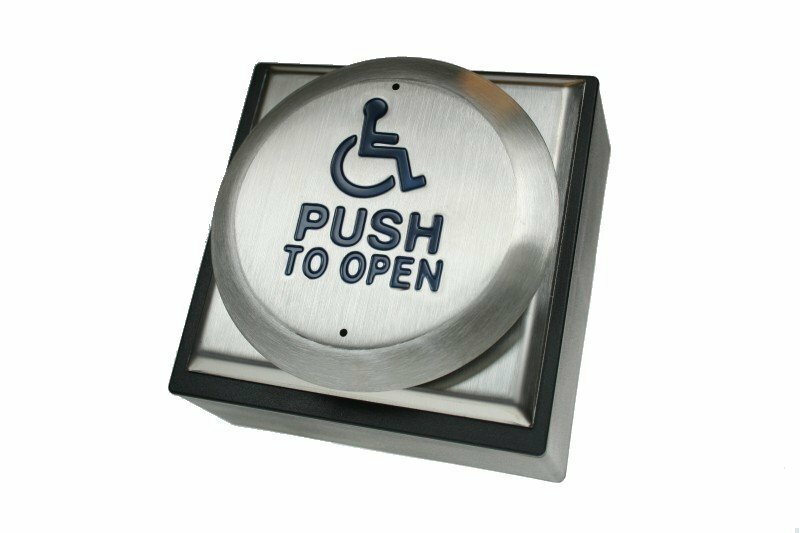 * Please note all single-gang stainless steel flush-mounted buttons can be surface mounted by using an SR1-SH-SERIES Surface Housing - click here to view. The Touch-Sensitve SR1-REX-100 Exit Button provides a timed relay-contact output after the touch panel has been touched. The relay time period can be adjusted from approximately 1 to 30 seconds via an internal on-board potentiometer. The SPDT relay output allows for both Fail-Safe and Fail-Secure wiring configurations at the door. Two LEDs indicate power and relay status (green when relay is activated) together with an internal beeper which provides audible acknowledgement.